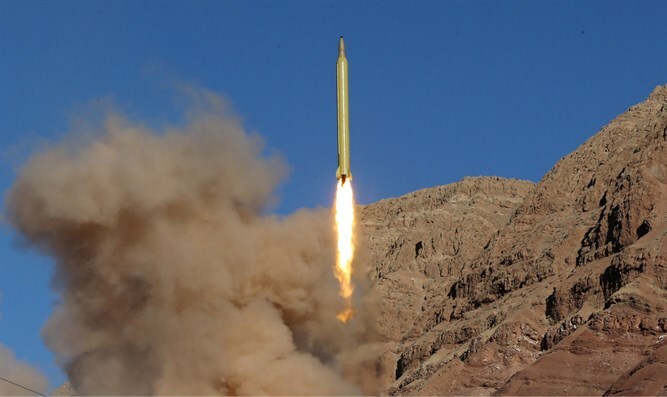 MainAll NewsMiddle EastANALYSIS: Is WWIII about to begin? ANALYSIS: Is WWIII about to begin? We are now closer than ever to a global conflict, observers and the parties involved say. The Syrian war is now threatening world peace and could escalate into a global conflict involving world powers and the Middle East’s most dangerous regimes, Islamist terror organizations and militias, as I wrote two months ago. It was a few days after Israel reacted to an Iranian attempt to breach Israel’s airspace and destroyed 12 military bases in Syria which were reportedly used by Iran and its Shiite proxies. In the same period the U.S. military and its ally, the Syrian Democratic Forces, engaged in the first major confrontation with the pro-Assad coalition and killed more than 300 members of the Syrian army and its Shiite allies. More than a dozen Russian mercenaries also died in the devastating attack which which involved the use of F-15 and F-22 fighter jets as well as Apache helicopters, AC-130 gunships, UAV's and artillery fire. We are now closer than ever to that global conflict, observers and the parties involved now say. After reports came in that Assad had again used chemical weapons against the civilian population of Douma, a Damascus suburb which has been under the control of Jaish al-Islam (The army of Islam) since 2014, the West seems to be gearing up for an attack on the pro-Assad coalition. Approx. 78 Syrians, among them women and children died in the gas attack, while hundreds of others were injured according to the Syrian medical first aid organization, White Helmets. A few days later Israel reportedly carried out a new airstrike against the Iranian Revolutionary Guards Corps in Syria and destroyed hangars on the T-4 base in the vicinity of Homs. Fourteen people, among them 12 Iranians and an IRGC commander, died in the IAF strike which was carried out from Lebanese soil by two F-15 warplanes. The IDF is now anticipating an Iranian response and has raised the level of alertness. Unnamed Israeli officials warned Israel will bring down Assad’s regime if Iran dares to attack the Jewish state. As Arutz Sheva reported Sunday, Israel is closely monitoring events in Syria and has increased reconnaissance flights in eastern Lebanon, this according to Lebanese media. This time, Russia, which is aiding the Iranian axis prepare for war against Israel, reacted strongly to the new Israeli intervention in Syria, with president Vladimir Putin telling Prime Minister Benyamin Netanyahu Israel should “respect Syria’s sovereignty” and “refrain from any actions that might further destabilize the country”. Gary Koren, Israel’s ambassador to Russia, was summoned by the Kremlin for 'talks' over the new Israeli intervention in Syria, signaling the honeymoon in Israeli-Russian relations is over. Assad has transferred most of his fleet of Russian-made warplanes to the Russian Hmeimim airbase in Latakia. Modern air defense systems, including the Russian Pantsir-S2 defense system, were deployed on Syrian airbases. Other reports said Syria’s more modern warplanes, such as the Russian-made Sukhoi, have been flown to airbases in Iran and that three Syrian civilian aircraft landed in Iran and didn’t return to Syria. There’s some speculation the civilian planes carried members of the Assad regime and even his family. The Russian have also delivered new weapons to the Assad regime, including toxic gases, cluster bombs, white phosphorous, incendiary bombs, this according to Syrian media. Furthermore, a Syrian observer who tracks air traffic over Syria, reported that airlines operating in the Middle East received a request from the European Civil Aviation Authority to avoid Syrian airspace over the next 72 hours. As a result two flights from China to Israel were cancelled and flight tracking sites showed Syrian airspace was empty on Wednesday andThursday. Meanwhile, Alexander Zasypkin Russia’s ambassador to Lebanon warned that Putin’s army will shoot down missiles launched by the Americans and will retaliate by attacking the bases from where the missiles are launched. “If there is a strike by the Americans, then...the missiles will be downed and even the sources from which the missiles were fired,” Zasypkin told Hezbollah’s TV station al-Manar. Warships stationed in Tartus, the only Russian naval base outside Russia, have left the Syrian port for “exercises” the Interfax news agency reported. Interfax said the international waters in the Mediterranean Sea where the exercises would take place were declared a closed military zone. Russian warplanes flying over the Mediterranean were harassing a French warship and the US Navy destroyer USS Donald Cook, according to Turkish media. The US navy has dispatched 8 warships to assist the USS Donald Cook, a vessel carrying cruise missiles, but it will take up to 7 days before the fleet arrives in the Mediterranean Sea off the Syrian coast. The British government, meanwhile, has ordered submarines of the Royal British Navy to move within missile range of Syria, the Mirror in England reported. President Donald Trump for his part, warned Russia that it doesn’t have the capabilities to prevent the coming attack on Syria. “Get ready Russia, because they (the missiles) will be coming, nice and new and “smart!” Trump wrote on his Twitter account. “You shouldn’t be partners with a Gas Killing Animal who kills his people and enjoys it,” Trump added referring to Syrian dictator Bashar al-Assad. The president later tweeted that the relationship between the U.S. and Russia hit at an all time low and that includes the so-called Cold War according to Trump. All this takes place while there is still not ironclad evidence Assad’s forces again used chemical weapons against the civilian population in Syria. The Organization for the Prohibition of Chemical Weapons (OPCW) is still investigating the incident in Douma, but has already made a preliminary analysis of the attack, it says. The attack on the 7th of April was the fourth reported chemical attack on the Damascus suburb since the beginning of 2018. In all other instances Iranian-modified 107 mm artillery rockets were used to stage the chemical attacks with chlorine gas. Jaish al-Islam is known for producing its own weapons, but also modifies Syrian army weapons which it seized during earlier clashes with the regime. The organization is backed by Turkey and Saudi Arabia and is known for its use of human shields. The Islamist rebel group has admitted it used a chemical weapon against Kurds in Aleppo on one occasion, but said the commander who ordered the use of the weapon acted against the charter of the group. The latest news indicates Trump could be backtracking on his plan to attack Assad’s forces now. The American president tweeted on Thursday morning that he “never said when an attack on Syria would take place. Could be very soon or not so soon at all!" So are we witnessing the outbreak of WW III? I don’t think so. The whole exercise which we saw this week is a power play about creating red lines and protecting national interests. Assad and his patrons Russia and Iran needed to know there are limits even in this brutal war while the West and Israel are looking for ways to stop the Russian and Iranian attempts to take over the Middle East.